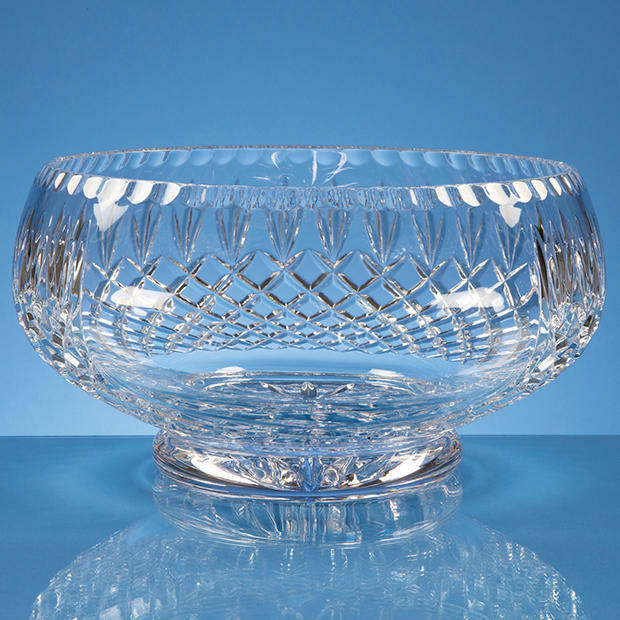 This presentation bowl in lead crystal is elegantly designed, has a footed base, is diamond cut all around the bowl but has a generous sized clear panel for engraving. This presentation bowl is absolutely perfect for presentations of all kinds, including sporting events, corporate use, or just a beautiful gift. Please note that the prices shown do not include artwork origination charges, delivery or VAT.